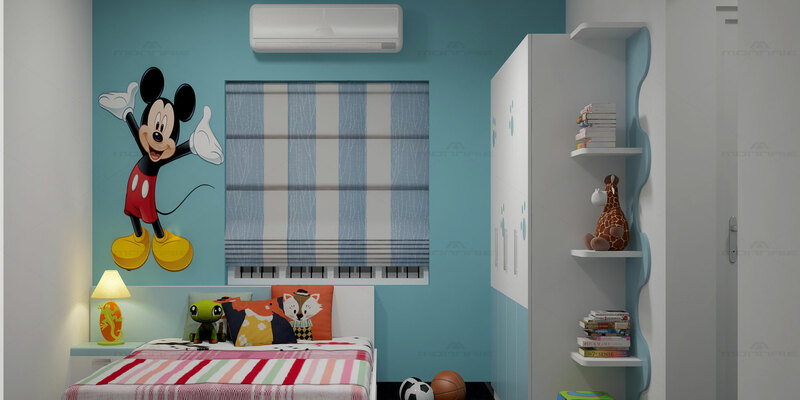 This bedroom is specially designed for kids, the combination of white and light blue gives a soothing atmosphere inside the room. The vibrant colour pictures and accessories give an added beauty to the room. Wardrobe and book shelf is designed considering the taste and preference of kids. Overall this will be a favourite place for kids to hang on.